Over the past decade CREER has provided global service opportunities for our volunteers around the world. During this period our volunteers have completed over 15,000 service hours, contributing to communities and helping to expand our international bridge of support. In 2017 CREER is offering 5 more international programs. 3 of the programs will be in Costa Rica, and we are excited to announce two new international programs, one in Peru, and one in Italy. There are no words to describe how beautiful everything is. Costa Rica takes my breath away. I was surrounded by life, felt closer to the Earth than I have ever felt before. More than that, True Nature and everyone have been so supportive. I have never felt to unselfconscious. Life is a journey, every pebble on this Earth has its place. Sometimes those pebbles create a stepping stone-something with time , concrete, and strength. This experience was another stepping stone to my life-my personal journey, and I am grateful. Following the incredible success over the past years, CREER is excited to be teaming up with again with True Nature Education for a series of Costa Rica Service and Adventure Programs in 2013. If you are interested in joining us or organizing a Costa Rica Service and Adventure Program for your community please email us. Please click here for all information. We hope to see you in Costa Rica soon!! TO WATCH A VIDEO ON THE COSTA RICA SERVICE AND ADVENTURE PROGRAM CLICK HERE. Come share in an exciting and unique travel and service opportunity to Costa Rica with True Nature Education! Ideal for groups of all sizes, we have coordinated with individuals, couples, schools, religious and spiritual organizations, businesses, and more. It’s an exciting new way to experience the authentic rich culture of this incredible country while also doing work to support its people and communities through preservation of the land and the environment. Throughout the program you will have an unforgettable experience, full of adventures through the Costa Rica landscape, connections with the local people, and outreach work. In a time where our world is becoming more and more of a global family, what better way to be part of the bridge of support we are creating? Check out the new article in the Huffington Post where Karina Mirsky discusses Service, CREER, and True Nature Education. Click Here. CREER is excited to now be on facebook. Join the CREER Team as we work together to continue our mission of building a global bridge of support. This is a great new tool for the International CREER Team to connect via this online community. Click on the icon below to become a "Fan" on the CREER Facebook Page. This past March, 18 participants from the United States traveled to Costa Rica to take part in the CREER Costa Rica Service and Adventure Program. The program took part in two villages in the Southern Pacific Region of Costa Rica. Site #1 was in the Beach Village of Matapalo. While in the village The CREER Service Team worked hand in hand with the local villagers painting a mural , building a beach volleyball court, cleaning the beach, and creating a new Welcome Sign for the village. In addition to service work, the group, which consisted of people from ages 15 to 72, spent time at the incredible Matapalo Beach, learned to surf, made jewlery with a local jeweler, went horseback riding, and visited Manuel Antonio National Park. The second half of the program took place in the mountain village of La Florida. The main mission at Site #2 was to renovate the La Florida School. The CREER Service Team painted the school, sanded and varnished desks and chairs, repaired windows, and worked in the school garden. One participant shared, "This is the most meaningful trip I have ever been a part of. I have been on vacations all over the world, doing service in Costa Rica has changed my life." 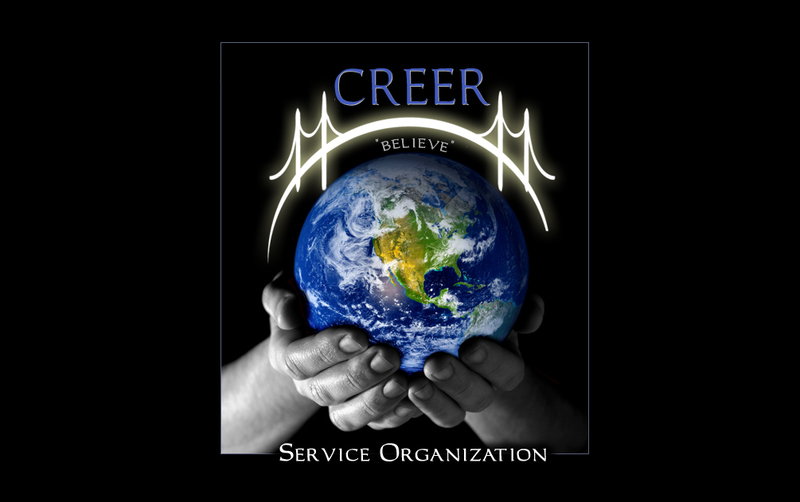 CREER has three Service Programs planned for 2010. There will be one program in January (TBA) followed by two programs in March 20-27 and March 27-April 3. The CREER Education Program completed its first English course this past Saturday, graduating 8 students from the village of La Florida. The CREER Education Program provides affordable education and courses to rural villages in Costa Rica. CREER is currently writing a grant proposal, that if accepted would provide funding for 20 courses throughout 10 villages in Costa Rica in 2009. With the help of many generous contributions, we are excited to share that the foundation of the La Florida Library is complete. The library, which will be located next to the school, will be a full service library including books in both English and Spanish. The library will also include a computer room with internet access. The fundraising continues as the library moves into Phase 2 of construction. The library is set to be complete by the end of 2008.